Drop the brown bag in favor of a smooth touch for your next packed lunch with this extra-large tote. 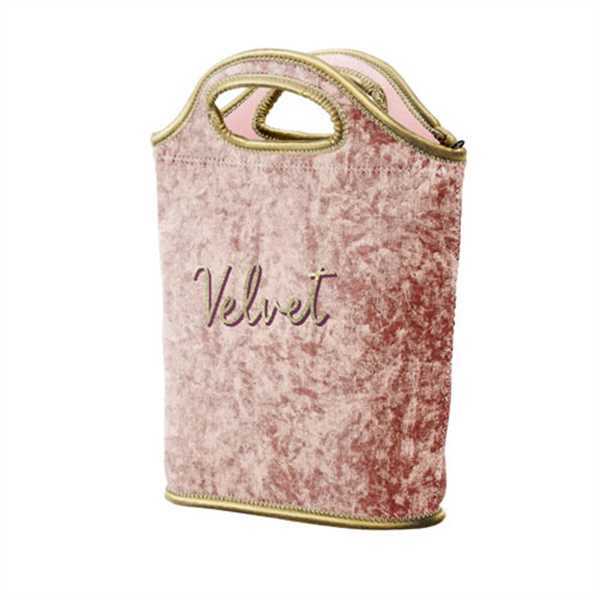 Composed of supple velvet-neoprene, this 10" x 12" x 3.25" bag can handle your afternoon meal, a few snacks, and then some. It features dual carry handles, customizable color stitching, and bias trim. With the addition of your business logo or message, you'll craft a branded premium that's sure to turn heads in the cafeteria. It's the perfect giveaway for grand openings and special events at local eateries, coffee shops and other food-focused businesses. Size: 10 " x 12 " x 3.25 "